In Mary's world, there are simple truths. The Unconsecrated will never relent And you must always mind the fence that surrounds the village. The fence that protects the village from the Forest of Hands and Teeth. But slowly, Mary's truths are failing her. She's learning things she never wanted to know about the Sisterhood and its secrets, and the Guardians and their power. And, when the fence is breached and her world is thrown into chaos, about the Unconsecrated and their relentlessness. Now she must choose between her village and her future, between the one she loves and the one who loves her. 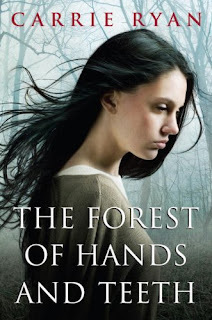 And she must face the truth about the Forest of Hands and Teeth. Could there be life outside a world surrounded by so much death? This book was breathtaking, literally! From the moment it began I was drawn inot the story and was constantly wondering what would happen to the characters. One of the things about paranormal books it that every author has their own version of what a zombie is in this case or what a vampire is. Some think of them as just misunderstood broken people while other imagine them as they have always been. Monsters that are to be feared! Carrie Ryan's zombies are the terrifying kind, the kind that you hope don't exist and that you hope will never find you. One of the things about zombies at least in this book is that you in a small way feel bad for them because they were changed and they really did not have a choice as is reiterated throughout the novel. So you kind of feel bad until they start chasing you and trying to change you then you are just disgusted. Carrie Ryan does and exquisite job in her descriptions they are not to much but you feel as if you are there. Also the characters are somewhat relate able! Great Book and have a great September Zombies Week! Found at the Story Siren! This book was very interesting and gripping! I sometimes felt as if I was in the book, which at times I have to admit was not really a good thing. But the description was so powerful and so well executed that I could not help but be drawn in! The characters were very believable even the fake ones I really wished that I knew Deirdre I wanted to be her and James' friend! The plot fell together perfectly and had some red herrings along the way! Also Maggie is so multi-talented that you have to experience it! Here is the trailer for the sequel!!!! And yes Maggie wrote the book, played the music and drew the pictures! See what I was talking about multi talented! 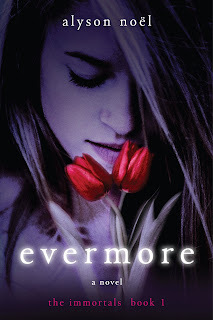 Alyson Noel writes amazing books! Every book of her's I have read I have been sucked into and did not want to leave. Cruel Summer was no different that characters were well written and very different. Unfortunately Colby was very whiny and kind of oblivious. but eventually she got over herself and that made the book turn out better. I also liked that it did not have a complete total packaged ending it kind of was like it could be ok but maybe not which is so much more like real life than nice neat endings! 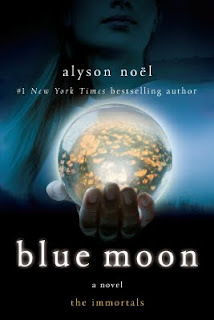 Here is an interview with Alyson Noel about one of her other books! 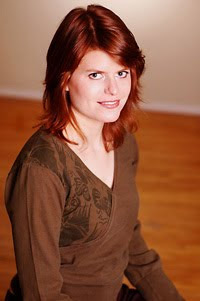 Today I have an interview with Megan Cre we author of Give up the Ghost which comes out September 15th!! Where did you get for inspiration for Give Up the Ghost? I had this idea of a girl just hanging out with her dead sister, and I really liked the thought of someone who enjoyed talking to ghosts instead of seeing it as something scary or a hassle. What kind of research did you do for Give up the Ghost? I did some reading on girl bullying--the ways girls attack each other, its affects on the victims. The book ODD GIRL OUT was particularly helpful. Learning about that allowed me to get an idea of where Cass was coming from. The first draft by itself took a couple of months. But when you include the first time I tried to write it (which didn't work out), the revisions, and the gaps in between, it adds up to a little less than two years. I always enjoyed telling stories and writing them down. As I got older and started sharing my stories with friends and classmates and teachers, I got such an enthusiastic response that I started to think that it might be something I could do as a career. I started pursuing publication (with short stories, at the time) when I was 14. Do you use an outline when you start a book or do you just start writing? I always have an outline. If I try to do without one I inevitably write myself into a corner I can't get out of. Outlining helps me figure out problems with my plot and characters before I've put a lot of time into heading in the wrong direction. If you could travel anywhere from a book that is not your own where would it be? Anything else we should know about Give up the Ghost? The very awesome perfume maker Super Bad Soap has been making "ghost scents" to go with each of the ghosts in the book (who do have a particular smell that goes with them). Keep an eye on her site -- http://www.etsy.com/shop.php?user_id=5250141 -- they should be up soon if they're not already. Look out for this book on September 15th I am sure it will be great! 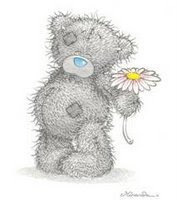 I was looking through the blogs I follow yesterday and I noticed that Kay Cassidy had a new one up so I visited it and found out about this new website her and a couple of other authors came up with here is the official news! We know, we know... we've been hinting about it for weeks. The super secret project of Kay Cassidy, Tera Lynn Childs, Alyson Noel and Becca Fitzpatrick. The #fivers hashtag. The Founding Fiver badges. The huge top secret contest. So many secrets! Good news. The secret's out. Join us for the worldwide launch of Living Your Five! Living Your Five is an online community dedicated to changing our world one person at a time. You don't have to cure the world of cancer or banish world hunger in a single day. It's about working together, each of us taking one more step every day. It's about knowing what you care about--what you're passionate about!--and stepping away from the sidelines of your life to make your mark on the world. To celebrate the launch of the official Living Your Five web site, we're even hosting a contest with awesome daily prizes and a MEGA grand prize all courtesy of our Founding Fivers! Find out all the details at www.livingyourfive.com. I really like this idea because I think it is important for peiple in positions of power (as in they can influence people) to promote things that are really imprtant to them! Go check it out! I am doing a new meme in which I will say where I am traveling this week as in books I am going to be reading! Enjoy! 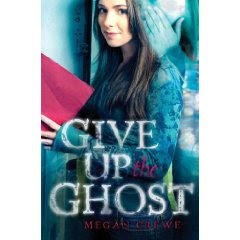 Also Megan Crewe and her book Give up the ghost! So last week I started school blehh so I will have to figure out away to continue reading a lot as well as juggle my course load! But I will find a way! So for anyone who cares here is my course load. So as you can see I am going to have my hands full. I will probably just schedule posts during the weekends! If you have any suggestions on how to balance school and blogging please let me know! Riding through the foothills on his way home from school, Ian Pratt can’t resist going down to the cave. It’s been there as long as he can remember it, dark and foreboding, and Ian’s never quite mustered up the courage to venture inside. Ashamed of his cowardice, he loses himself in the stories of courage and adventure that he reads about in his World War I history books. Ian’s great-great-grandfather died in the war, but he left behind plenty of letters and photos to fuel Ian’s imagination. When strange things begin happening around Ian, he decides it’s time to live up to his great-great-grandfather’s legacy of courage. 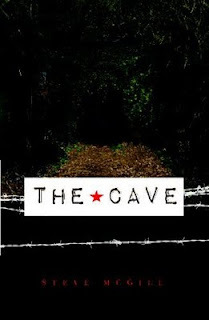 He finally enters the cave…and what he discovers there changes his life forever. I was really unsure when I got this book what it was about but the synopsis drew me in. This book was pretty good and very different, I believe there should be more historical fiction in YA so that made me pretty happy. The book was slightly weird in some aspects but overall pretty good. One of the problems I had which I guess was pivotal in the story was that every couple of chapters we would be taken back in time to WWI to learn how a certain person died. I did not really understand that when I first started reading it but by the end it was connected. So if the book had been a little teeny bit more forthright in what the book was about that would have helped. This book I think would actually be better for a boy but if you are interested in WWI then you will like the interesting twist this book takes! Ok first of all did anyone else know this book was in the future/ a different world system? Because I had absolutely no idea! It was a great surprise and I think I might have liked it better because if that. Moving on, this book was incredible! The characters were inviting and very believable. The plot was fast moving and constantly interesting. It was also written very well in that I felt like I was in the book at times! The plot also kept twising and turning back and forth which was really good. 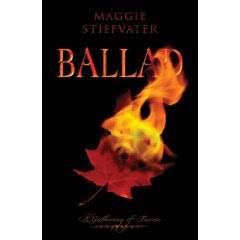 The book also brought many different themes into the story that you would have not expected at least I didn't! Anne's first book Aurelia was also very good but this book definitely topped it. I could not put it down. It is one of my new favorite books! Amazing storyboard trailer of Ballad by the author herself! I have sent you an email, give me your address and I will send it out sometime this week! The Drury Theater, where she was abandoned as a baby, is the only home Catherine Royal has ever known. 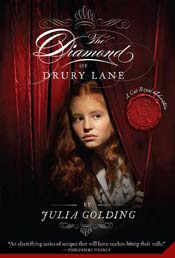 When she learns the theater owner has a deposited a diamond somewhere on the premises, she vows to help keep it safe. The whereabouts of the diamond is a thread that runs through a story with as many cliff-hangers as there are chapters in the book. But real thrills also come from the varied, sharply drawn cast that populates the Covent Garden area of early eighteenth-century London. Violin virtuoso Pedro, a young African who was once a slave, seems trustworthy—but is he? Roughneck Billy wants Cat’s affection, and he’ll take what he can’t get. Jonathan, the theater prompter, may be involved in insurrection. Then there are the nobs, Lord Francis and Lady Elizabeth, who befriend Cat, a relationship that causes problems for all concerned. This book was pretty good! It had a slightly lower reading level than most YA books in my opinion. So in my opinion it would be more appropriate as a middle grade book. Besides that the characters were well developed and the scenes were well constructed. Parts of it were slightly boring but the exciting parts made up for it. Cat was a very sweet and like able character. This is the first book in a three book series. This book sounded really light and cute but it turned out to be more of a story about dealing with loss in different ways. One of the things I liked was that almost every other chapter the chapter would talk about on of Belly's memories. The only problem was that I sometimes could not tell what year it was. 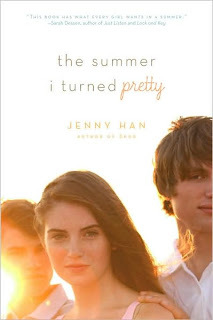 The characters were well developed and different I found myself starting to like the boys and wanting them as my boyfriend. The only other problem was that Belly was a whiner if everything was not perfect she wined which I could not stand! Contests are amazing! This one is no exception, Cindy from Princess Bookie is haiving an awesome contest where if you win you will win all of these books! Make sure to say who referred you so they and you can get extra entries! remembered, Will hangs with the crowd running the school. But Charlie doesn’t understand their power until an innocent delivery guy falls victim to a near-deadly hazing prank. Torn between doing what’s right and her secret feelings for Will, Charlie must decide whether to turn in her very best friend or live with the guilt of knowing what he did. Rosalind Wiseman’s first novel for young adults is a fresh, funny, and juicy read about friendship, betrayal, and how far some will go to be accepted. This book sounds really good I cannot wait! The weather outside is frightful, but these stories are delightful! When a huge blizzard (that doesn't show signs of stopping) hits, Gracetown is completely snowed in. But even though it's cold outside, things are heating up inside, proving that the holiday season is magical when it comes to love. This book was really good which is no surprise when you look at the three masterful writers that wrote these three short stories. I really enjoyed how the stories were intertwined which I did not realize when I picked it up. But each of the stories was different and the romances were not too mushy but just romantic enough. The town sounded really quaint and cute and was the perfect setting for the three winter romances. All of the characters were well developed and really interesting even the seemingly unimportant ones! Overall a great book by great authors! 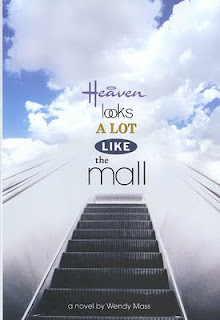 When 16-year-old Tessa suffers a shocking accident in gym class, she finds herself in heaven (or what she thinks is heaven), which happens to bear a striking resemblance to her hometown mall. In the tradition of It's a Wonderful Life and The Christmas Carol, Tessa starts reliving her life up until that moment. She sees some things she'd rather forget, learns some things about herself she'd rather not know, and ultimately must find the answer to one burning question--if only she knew what the question was. I had never read a book in verse before and I was intrigued by this one. The idea was not very original and it was kind of boring but basically it was ok. This book was ok but I would only read it again if I had nothing else to read. Forensic Investigator Luke Harding and Malc are assigned to a hospital with a mysteriously high rate of fatalities. Medical accidents, peculiar illnesses, or deliberate killings? Investigating the deaths, Luke meets his long-lost father, working as a doctor there. This is no happy family reunion, though, as Luke’s father’s DNA is found at several of the crime scenes, making him the prime suspect. Can Luke solve the case and clear his father’s name? Have the suspicious deaths got anything to do with Department of Alternative Medicine run by Luke’s father, the Phobia Clinic, or the downright strange Institute of Biomechanical Research? And why is Luke plagued with ferocious headaches? 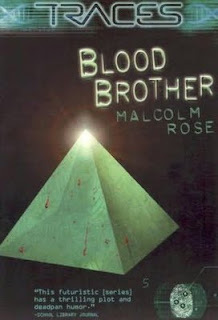 This is the sixth book in the Traces series by Malcolm Rose. 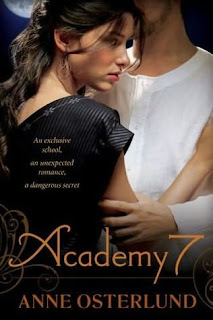 All of these books are amazing and have a lot of drama, action, suspense, and of course mystery. This one was particularly good because I felt that the plot had more twists and more suspects. one of the things that I really like about the Traces series is that Malcolm Rose puts in many diseases that I have never heard of which makes me want to look them up and find out if they are real. Luke is a very relate able character in that even though he is a forensic investigator he is still a rebel. Also the fact that he is 16 and has such a high profile job his little idiosyncrasy's make the book so much more enjoyable. Malc his computer partner adds a spice of humor because he is a machine and so he is completely not accustomed to different slang terms. 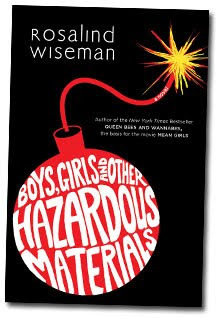 One of the other good things about this book is the fact that it is good for both girls and boys. The problem I had with this particular book was that I felt the ending was horrible. It in my opinion was anticlimactic and I will be disappointing if that is the end of the series. But besides that this is a great series for both girls and boys of any age even if this one was more of a disappointment compared to the rest. 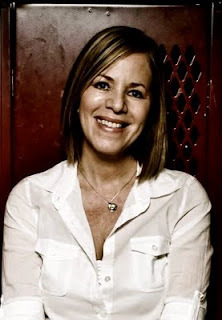 Today I have an interview with author Alyson Noel! I steal from my life all the time, and the inspiration for THE IMMORTALS series was no different, it was derived from grief. A few years ago I lost three people I loved in five months, and shortly after that I nearly lost my husband to leukemia (he’s in full remission now!). Experiencing that sort of intense grief and fear got me thinking a lot about life and death, mortality and immortality, the bonds that tie us even after a loved one is gone, and how our youth loving culture sort of seeks physical immortality by trying to remain youthful looking for as long as we can—and yet, what would happen if we really could achieve it? What would it mean for us, our loved ones, society in general? And since I’ve been interested in all things paranormal since I was a kid, Ever and Damen’s story seemed like the perfect vehicle to explore all of those themes. What kind of research did you do for the Immortals series? The research I’ve done for this series has been eye opening, mind-blowing, fascinating, and fun! I took a three-day, psychic development course with world famous medium James Van Praagh that exceeded all my wildest expectations, and I went under hypnosis for a past life regression with best selling author, Dr. Brian Weiss where I saw things I never could’ve imagined! I also read a ton of books on psychics, mediums, ghosts, reincarnation, near death experiences, past lives, chakras, crystals, you name it! I also took a few field trips, going to The Getty museum where I checked out an exhibit I reference in SHADOWLAND, as well as a really fun trip to the “Shake Shack” in Crystal Cove where I pretty much had no choice but to consume a variety of milk shakes to ensure I got the flavors just right. Oh how I suffer for my art! When did you seriously decide to become an author? Well, I wanted to be a writer ever since I finished reading Judy Blume’s ARE YOU THERE GOD? IT’S ME, MARGARET back in sixth grade. But other than some truly dreadful poetry written in junior high, and some short stories penned in high school, I mostly just talked about it, until the tragic events of 9/11 hit and I was working as a New York City based flight attendant, and figured I’d wasted enough time already and decided to go after my dream. What in your opinion makes the Immortals series different from other Paranormal books? Well, I tried to create a world that is both fantasy and very real at the same time. I’m fascinated by Summerland, psychics, ghosts, crystal power, manifesting, chakras, immortals, the philosopher’s stone, etc. So I drew upon those existing ideas and gave them my own spin. Also, aside from all the romance and suspense, there are much deeper questions at hand: Just what is true immortality? And is it worth the price? My first boo k, FAKING 19 took approximately 15 years. Now I’ve got it down to a few months! Where you a big reader or writer when you were growing up? Big reader. Huge. I devoured every book in site. Though I didn’t start writing until junior high when my parents got divorced and things really started to fall apart in my world. And though my sad little poems were dreadful at best, they did get me through some pretty tough times. Then later, in high school, I used to hand in short stories instead of the essays my teacher assigned, and lucky for me, he didn’t grade them any differently. (PS- Don’t try this at home. Unless your English teacher is Mr. Sawaya, then feel free!). I refuse to believe in writer’s block. I won’t give it that kind of power. But whenever I get “stuck” I just go back and do more research into my characters and their world. I learned that from the genius that is Robert McKee (author of STORY) and it works every time! What motivates you to go and finish a book? Is it the characters, the plot, ect? The deadlines! (Only half joking!) That and the wonderful feeling that comes from seeing the characters through to the end of their journey. It’s such a bold, happy, swooshy type feeling—typing those two little words—The End—is the best! If you could travel anywhere from a book where would it be? I would really like to go to Summerland. I mean, I suppose if it’s real, then I’ll get there someday, but I’d really like to get there without dying! I think that would be really cool! Thanks so much for such a great interview! When a wager is made between two sets of friends to test the devotion and loyalty of their boyfriends, things take strange turns for Bliss Taylor and Tamra Gray as IMs, texts, and blogs reveal the true feelings and motives of their significant others. I really never read a whole book in chat before and I have to say it was kind of annoying. The story line was good but I don't think it was executed well. It was hard for me to get into it because there were no descriptions and the separate lines made my head hurt. I thought that the overall plot and idea of the book was strong but it was hard to read being that it was in chat. I would have liked it better if it had been in normal text. 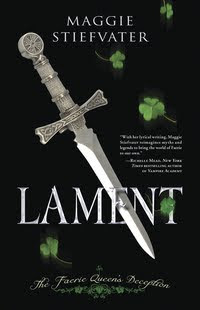 The characters were very interesting and fun but I did not get to know them as well as I would have wished. Ok so I got a lot of stuff this week (most from the Library) but I am really excited about some of the stuff I received! All of the Library books! Interlibrary Loan which is awesome! Now in non-book related news I got a bag to carry all my books in it is so cute!